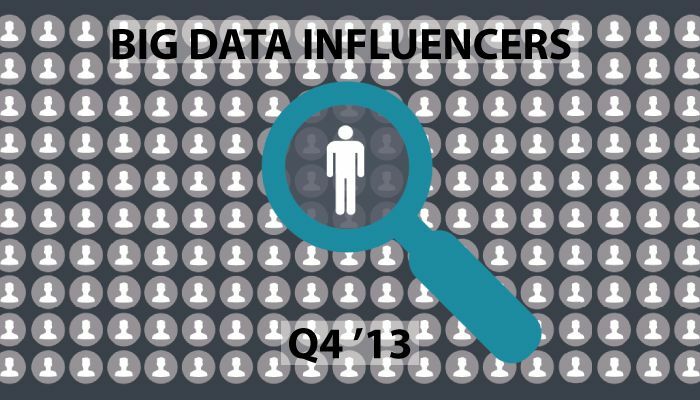 The latest Onalytica ranking of Big Data influencers on Twitter is now available. The top 200 influencers are listed below. Methodology: We took the tweets for the last 6 months containing the hashtag #BigData and treated mentions of other tweeters as a link to these. This initial network was made up of 150,486 nodes. After removing smaller, isolated components of the network we calculated mathematical PageRank, which is used to rank the list (please note – though there are many companies involved in the debate, they have not been included on this list in order to provide a better picture of who the individual influencers are). The methodology is different from our previous Big Data ranking which was based on Betweenness Centrality. This methodology weights connectors higher, but we have found that PageRank more effectively highlight the real influencers in the network. The new entries in the top 200 are more due to people moving from below the 200 water mark to above because they are drawing more attention in the context of Big Data, than due to changes in the methodology. As always we are keen to hear any feedback you may have.